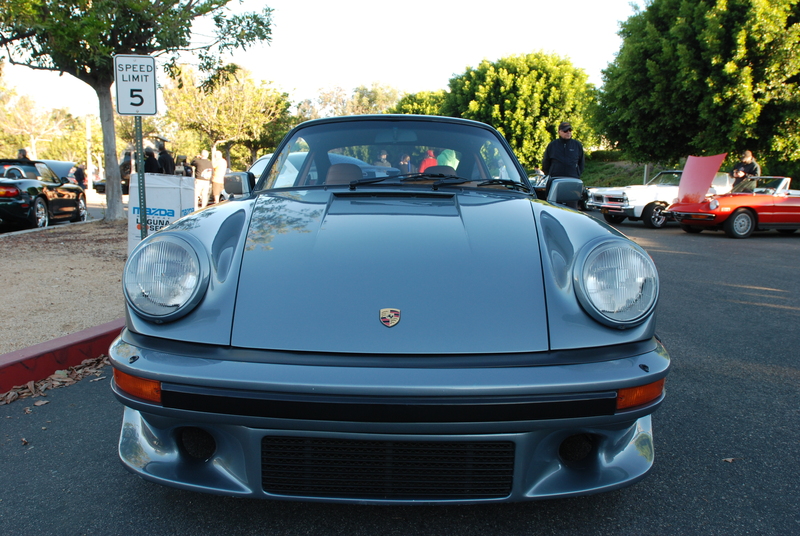 Silver 1989 930 Turbo (above & below). 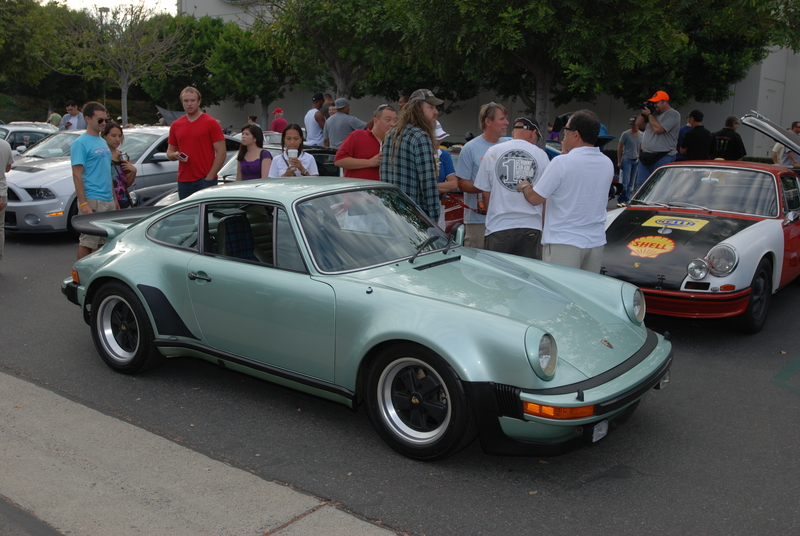 1977 Ice Green Metallic Porsche 930 Turbo, from the Magnus Walker collection (below). 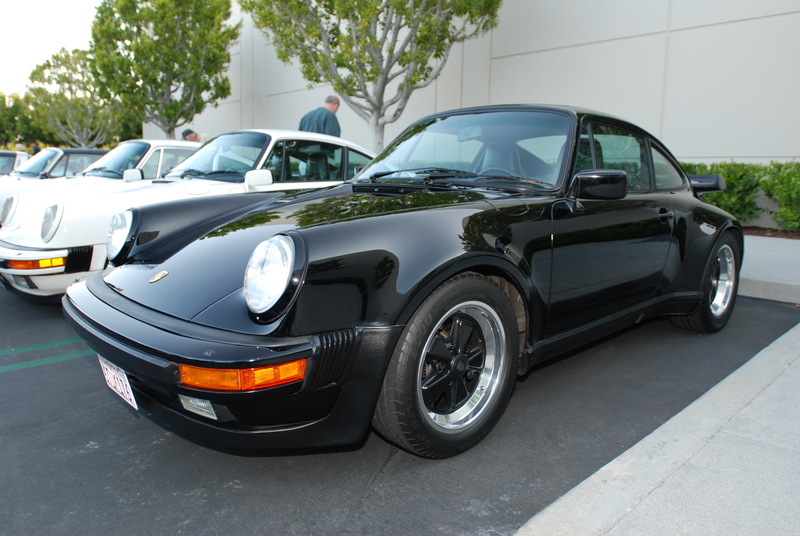 Black 1987 Porsche 930 Turbo. 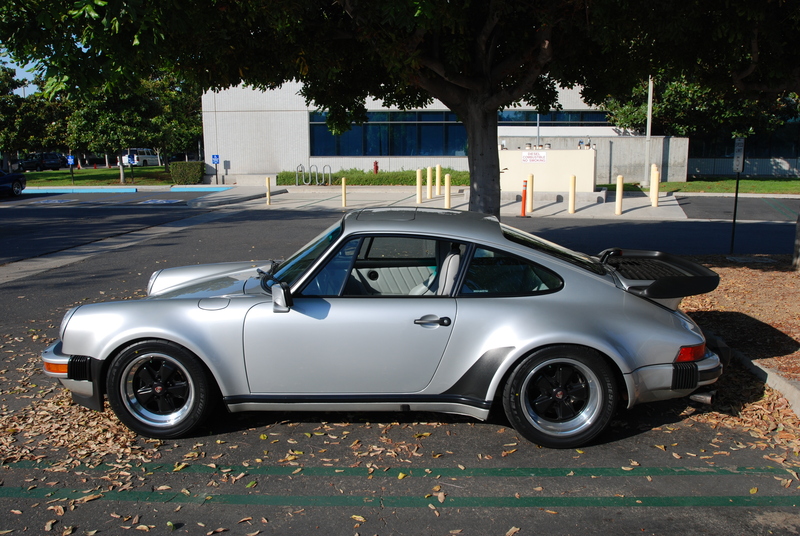 Slate Gray 1984 Porsche 930 Turbo. 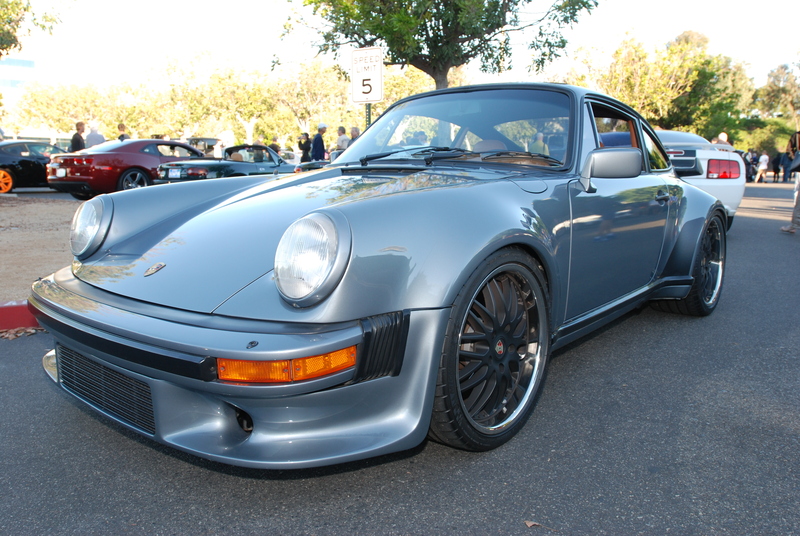 So If you’re a fan of the Porsche 930 Turbo, cars&coffee can provide the perfect venue for viewing these cars in person, and an opportunity to learn about them firsthand from their owners. 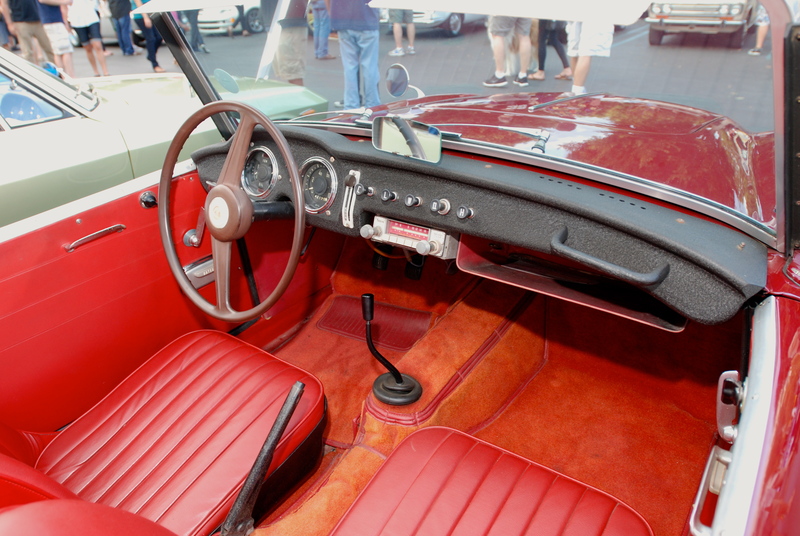 9/17/2013… Hard to believe that two years ago to the day, my blog digitaldtour was published for the very first time on WordPress.com. 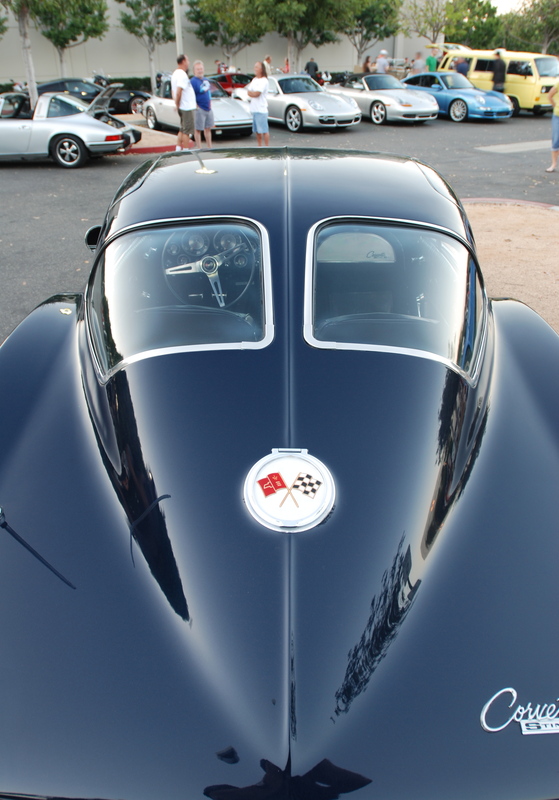 And now, I would once again like to thank all of my followers for your continued support and feedback, both by email as well as conversations in person regarding my previous 101 blog posts. 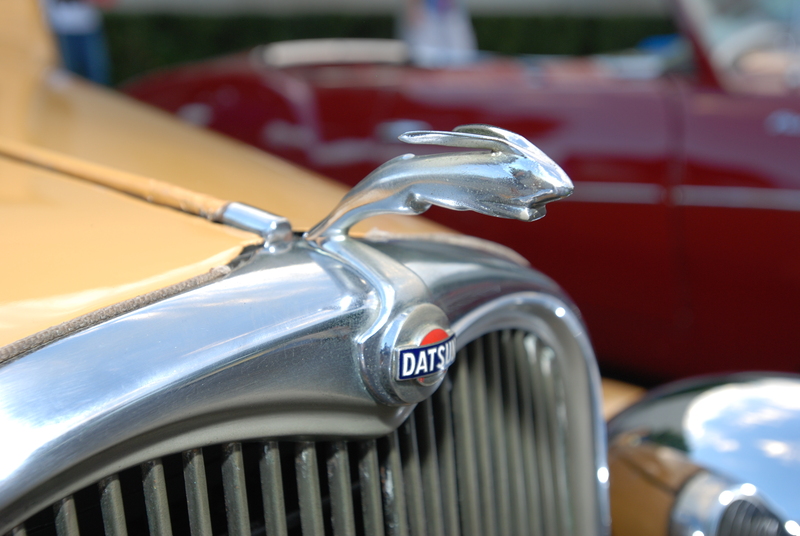 I also hope that you will find my future postings to be both informative and entertaining. 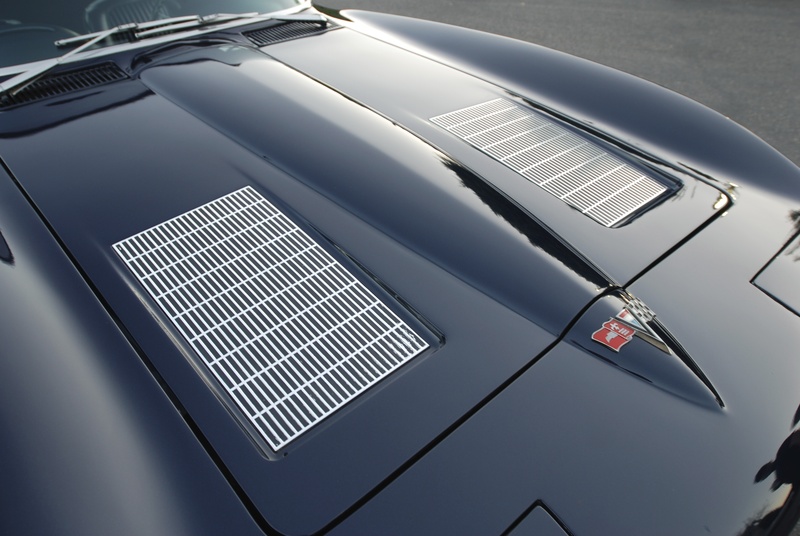 A blast of hot, humid air hit me as I exited my house and walked to the garage on Saturday morning August 27th. 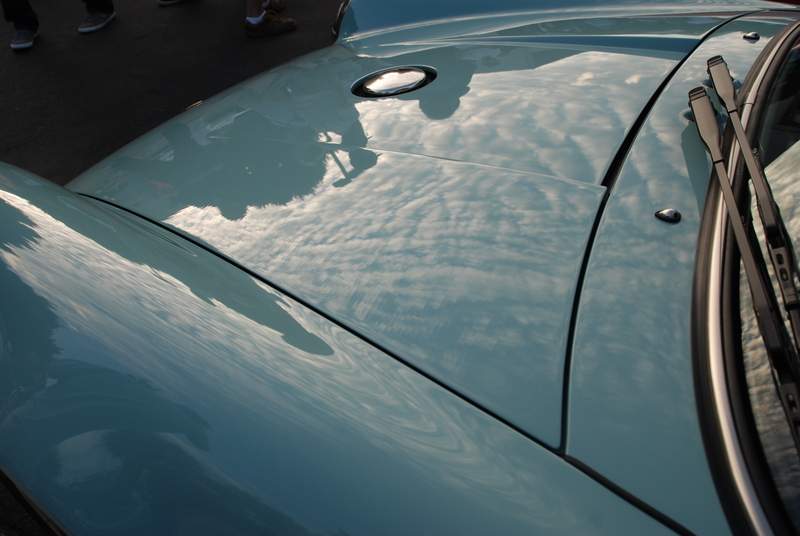 How could it already be so hot and humid at only 5:15 AM? 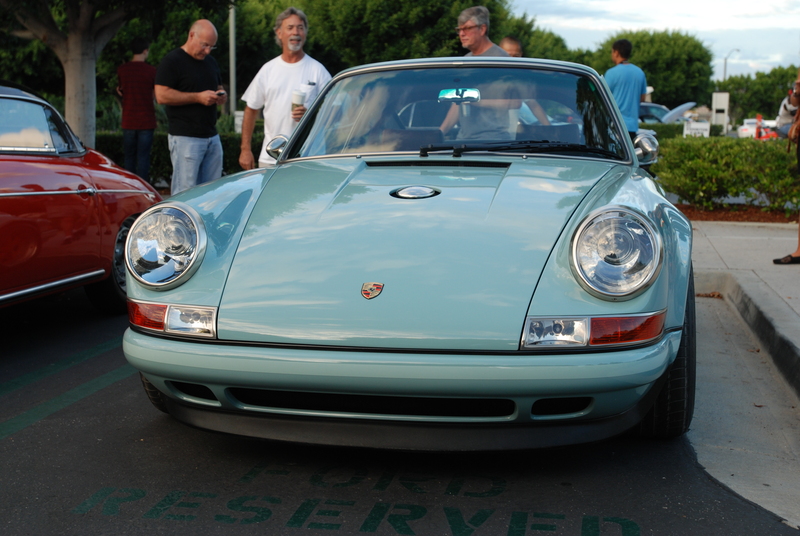 Given that this was Labor Day weekend, I wanted to leave even earlier than usual for cars&coffee, especially because of the potential traffic. 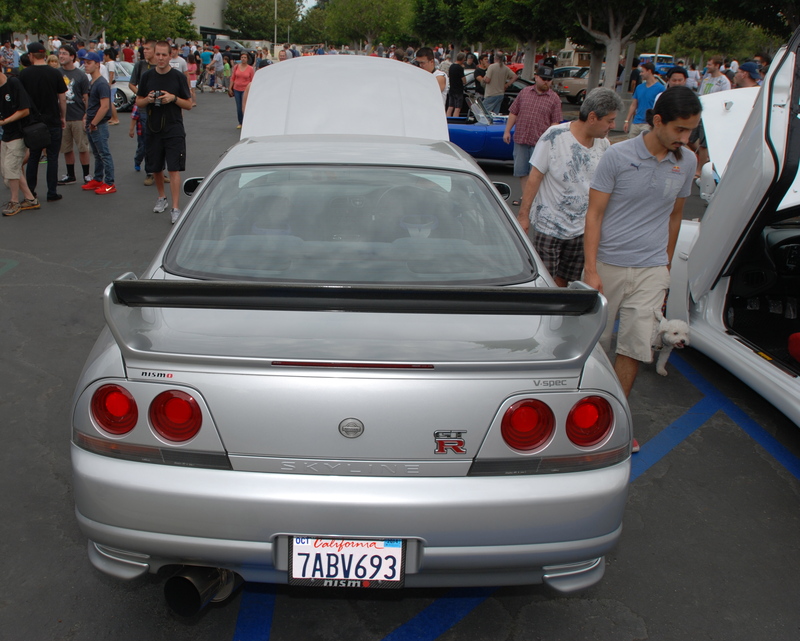 And sure enough, I encountered quite a bit more traffic than usual for that hour. 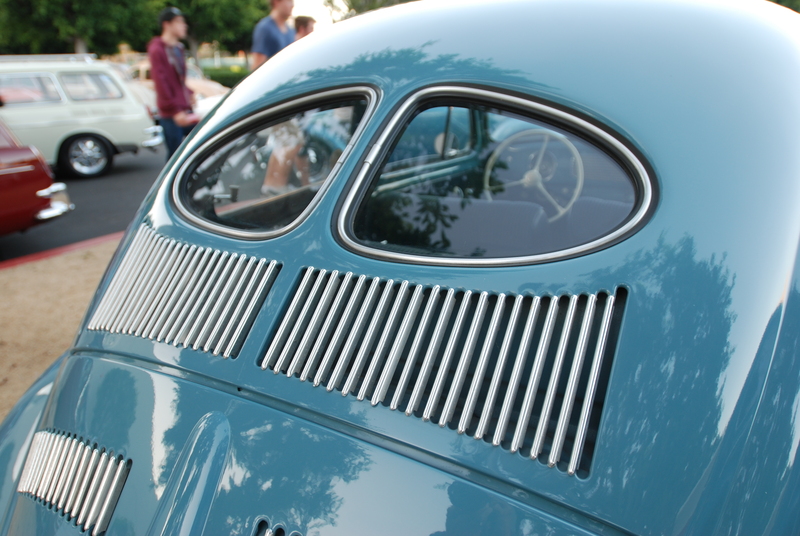 But not so much that I couldn’t take advantage of my 270 air conditioning (2 windows down at 70 + mph). 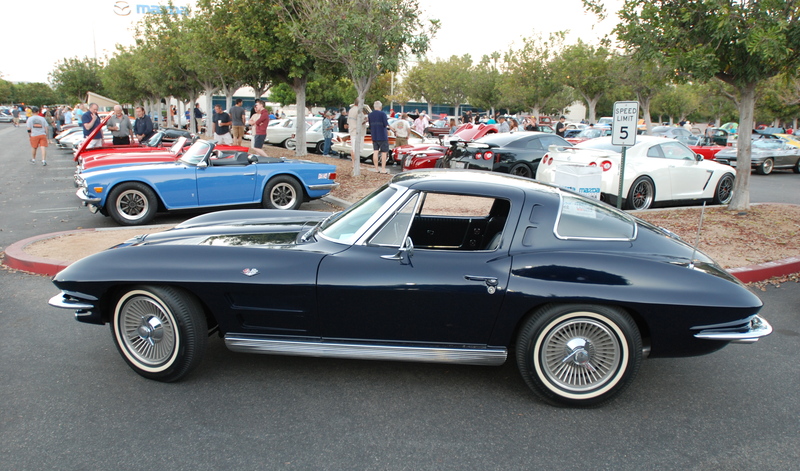 I hoped that the temperature down in Irvine would be cooler. 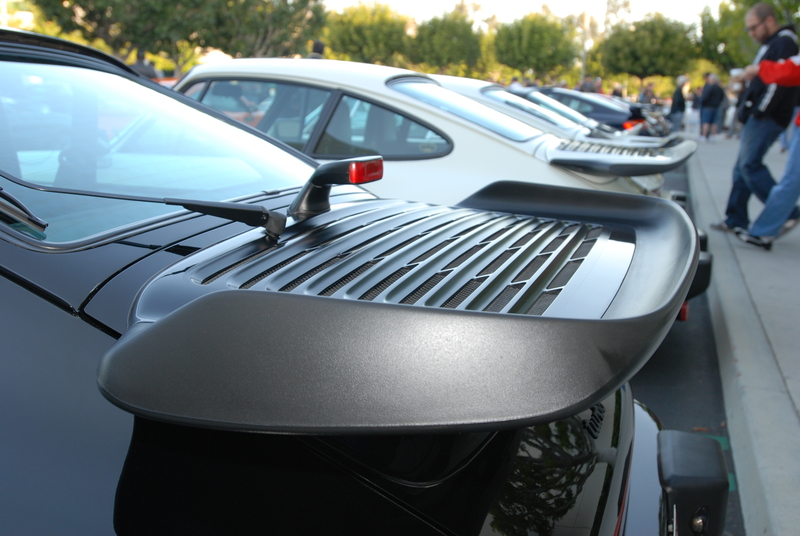 When I finally arrived at cars&coffee (at 5:50 AM), there were already quite a few cars gathered, and Porsche row was already near full capacity. 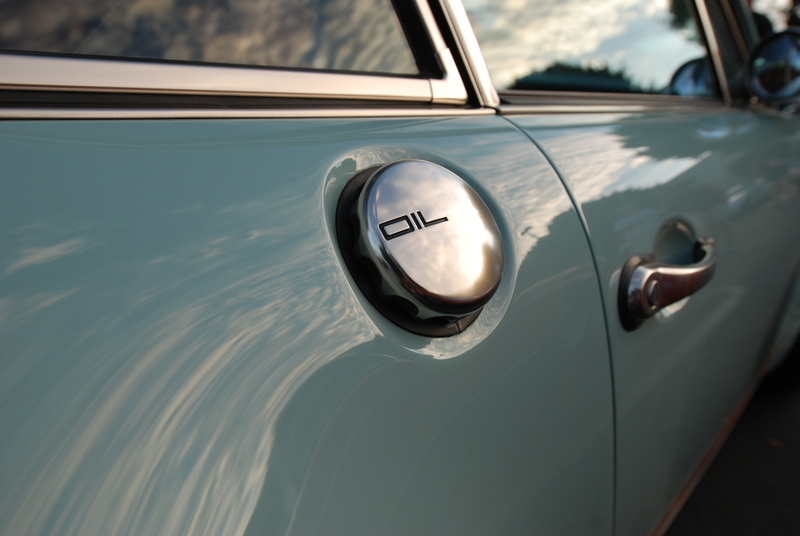 Much to my surprise, after exiting my car I once again experienced similar heat and humidity that I had left behind at home. 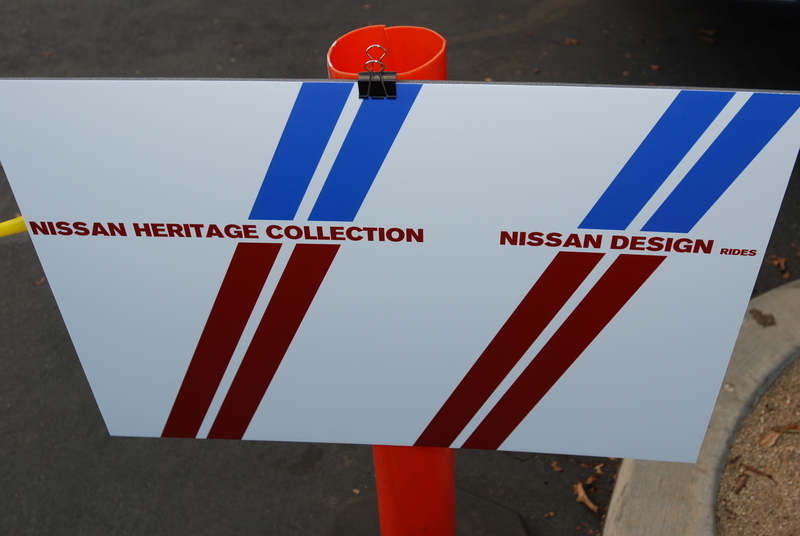 While I was standing in the longer than usual line for my weekly donut and orange juice, I noticed the sign posted across the entry to the “featured lot; a clue to the vehicles that would soon occupy the reserved area. 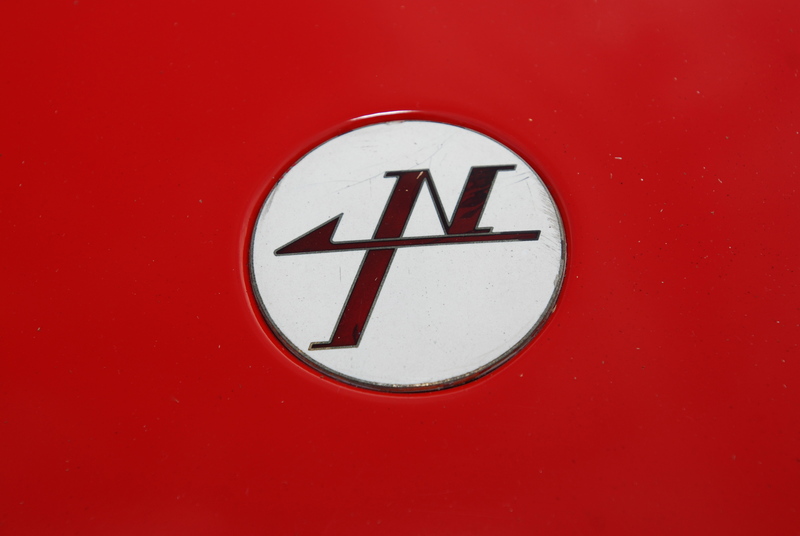 The bunny logo, created for the car by one of its designers. 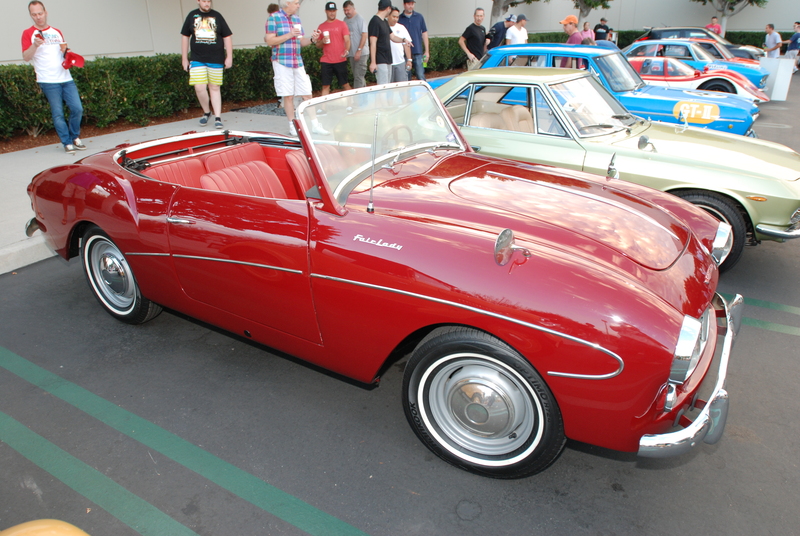 Immediately to its right was this red, 2 seat Datsun “Fairlady roadster, which had served as design inspiration back in the 1970s for the 240Z, and also wore the Fairlady name in Japan. 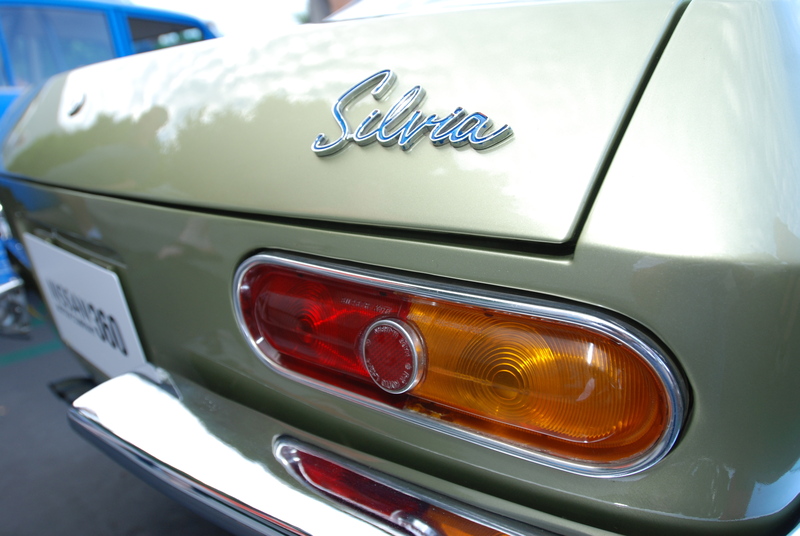 Positioned to the right was this Ice Green, 1966 right hand drive Silvia coupe (CSP 311). 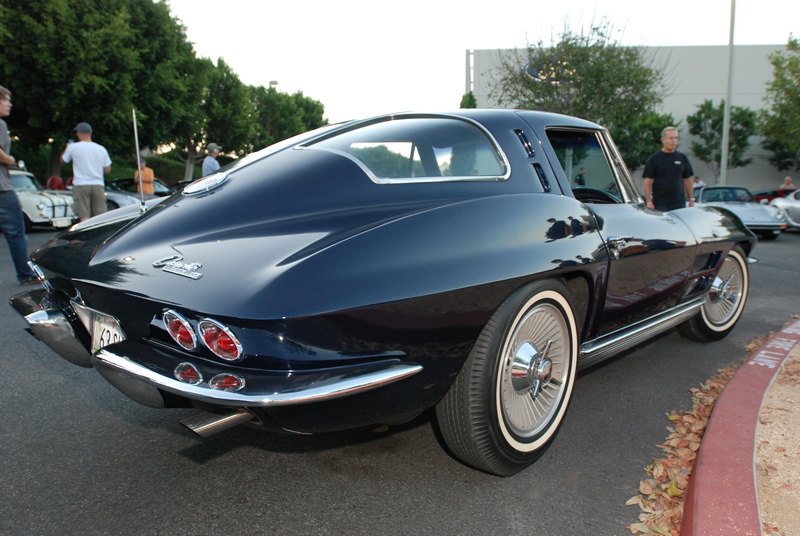 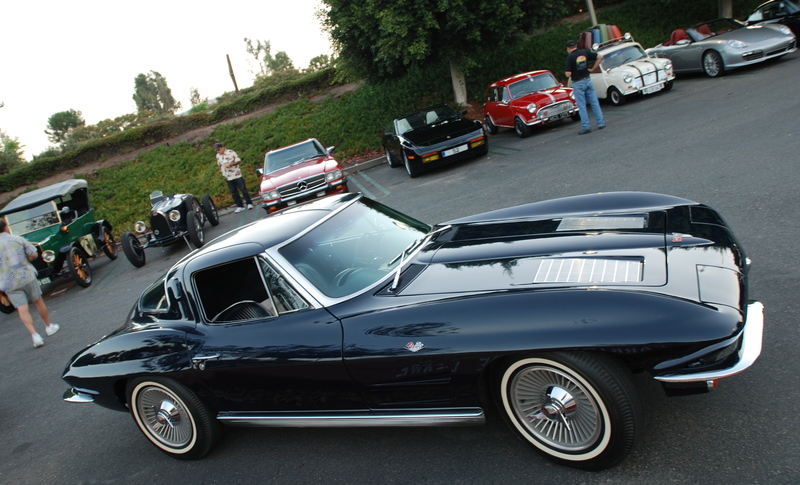 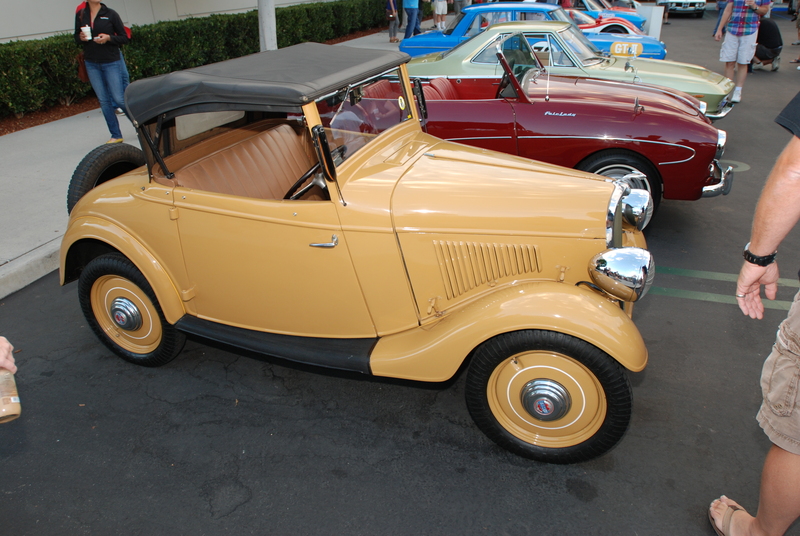 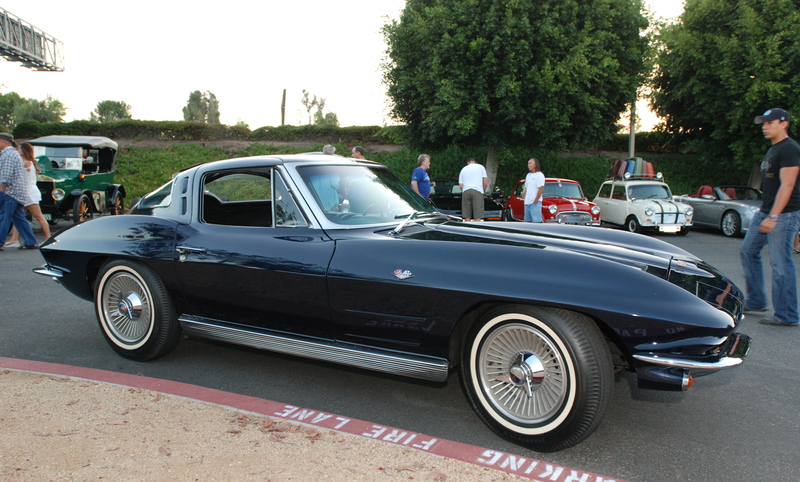 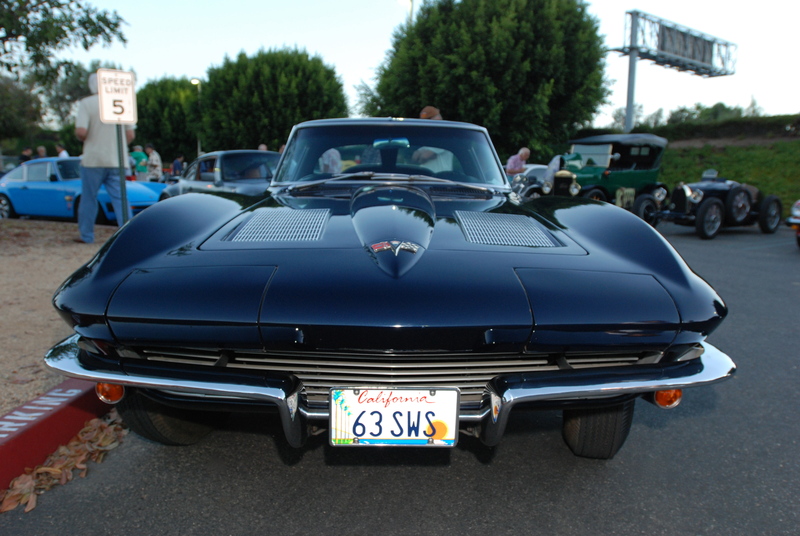 These cars were produced as a custom model in very limited quantities, from 1965 through 1968. 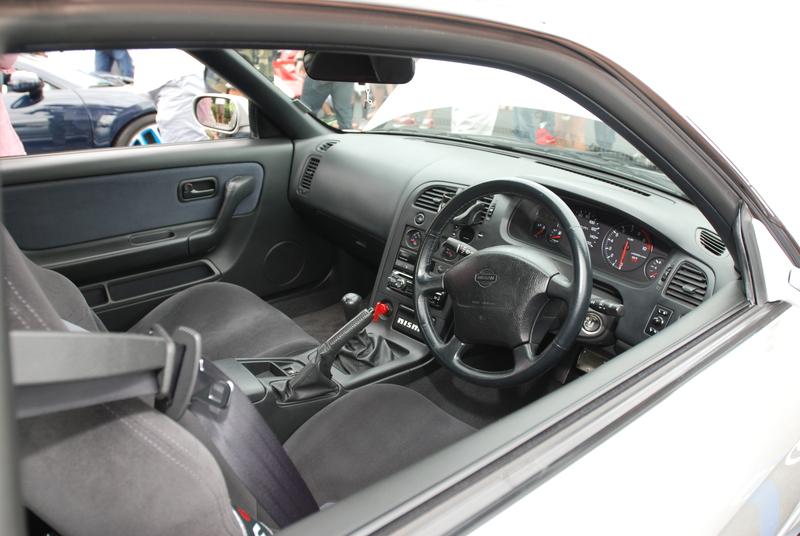 The cleanly designed interior, focused on providing the driver with access and visibility to all of the vehicle controls. 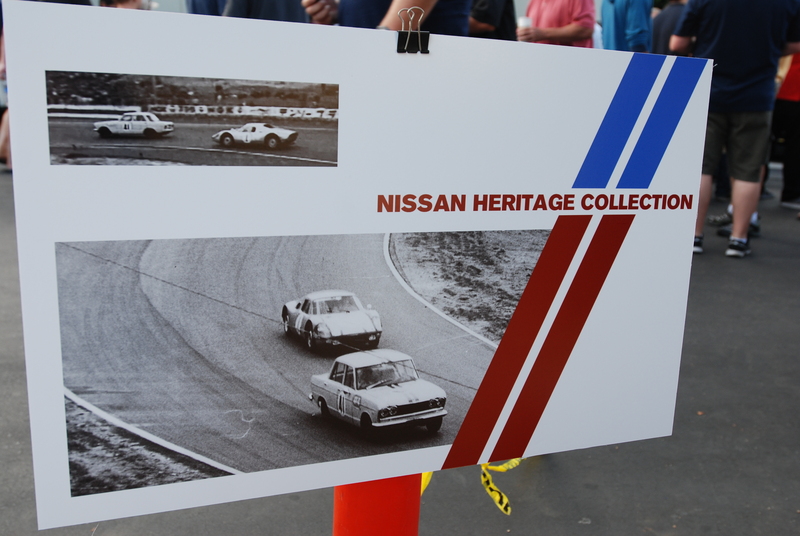 Located to the right of the Silvia, painted in red and white, was an example of an early Datsun / Nissan race car. 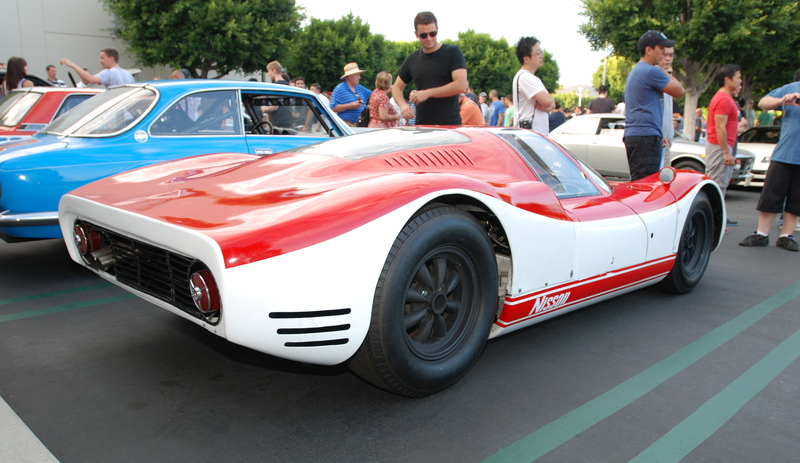 In this case, the vehicle in question was a 1967 R380-II (as seen below), one of their record-setting Sports Prototypes. 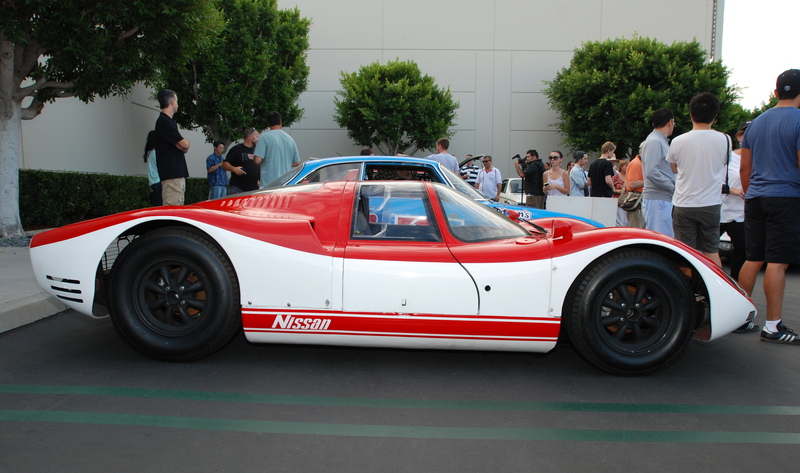 This R380-II helped contribute to a total of 12 world speed records established by Nissan, between October 1965 and October 1967 along with its predecessor, the R380-I. 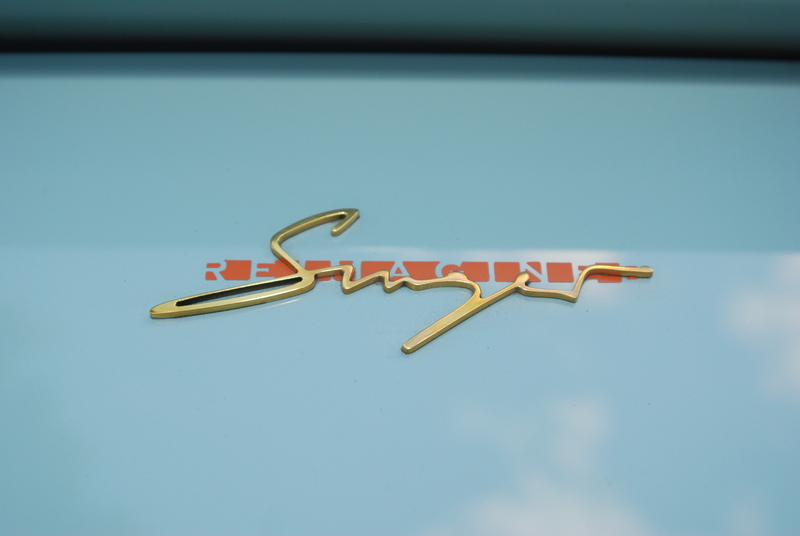 Below, the R380-II badging as found on the front nose. 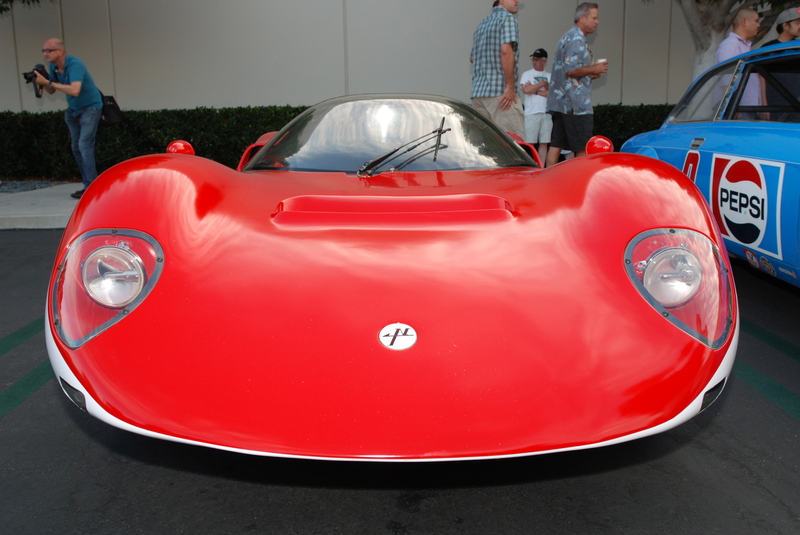 After doing some research, I learned that the R380-II was powered by a 1996cc, 6 cylinder motor, producing 220 horsepower. 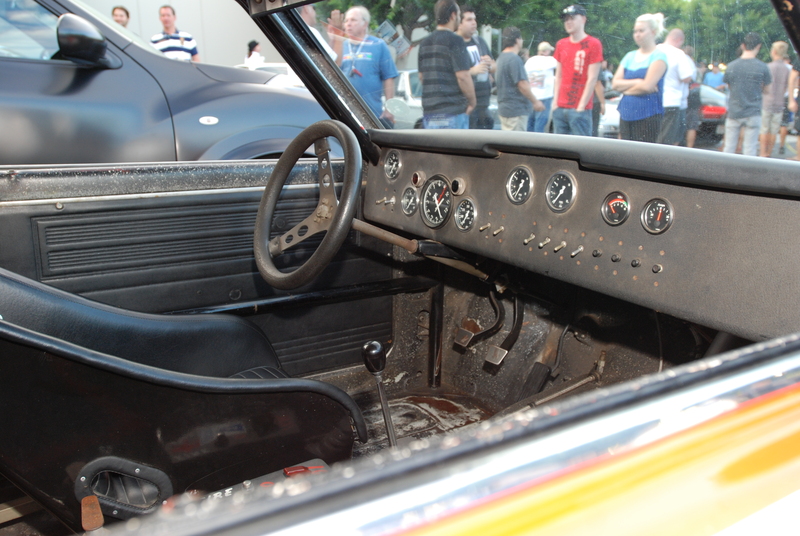 Fuel was feed through 3 Weber 45 DOCE carburetors, with final drive delivered by a 5 speed, ZF transmission. 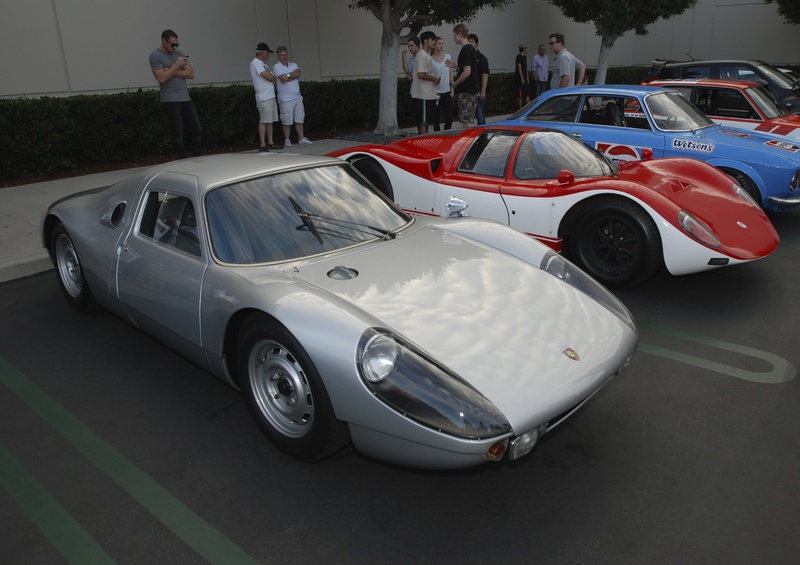 And what car should show up and park next to the R380-II, than a silver,1964 Porsche 904 Carrera GTS. 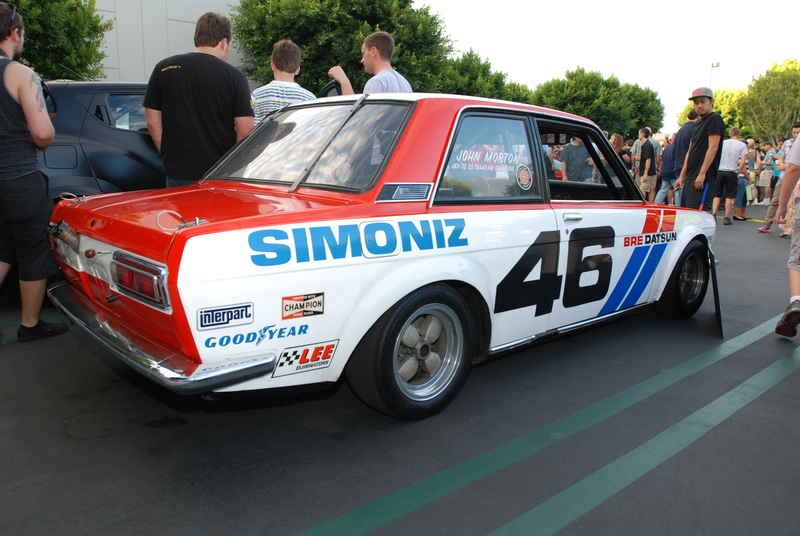 Parked several cars over to the right was another record-setting vehicle for Datsun; the BRE/Datsun 510 of John Morton which went on to become the 1970-1972, 2.5 liter Trans Am Champion (as seen below). 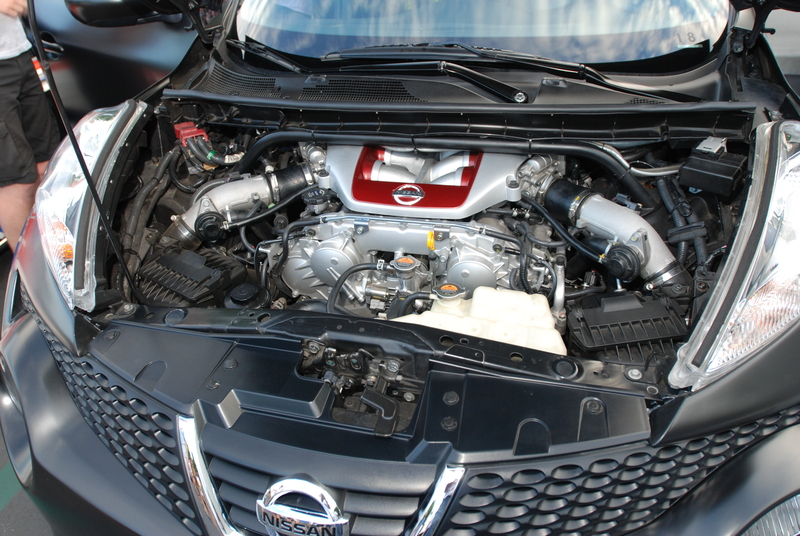 Parked next to the BRE /Datsun 510, was an example of a 2013 Nissan hot rod; the matte black, Nissan Juke -R.
Shoe-horned into the engine compartment is a Nissan 3.8 liter, twin turbo charged V-6 motor (sourced from their current GTR model), and putting out 545 HP. 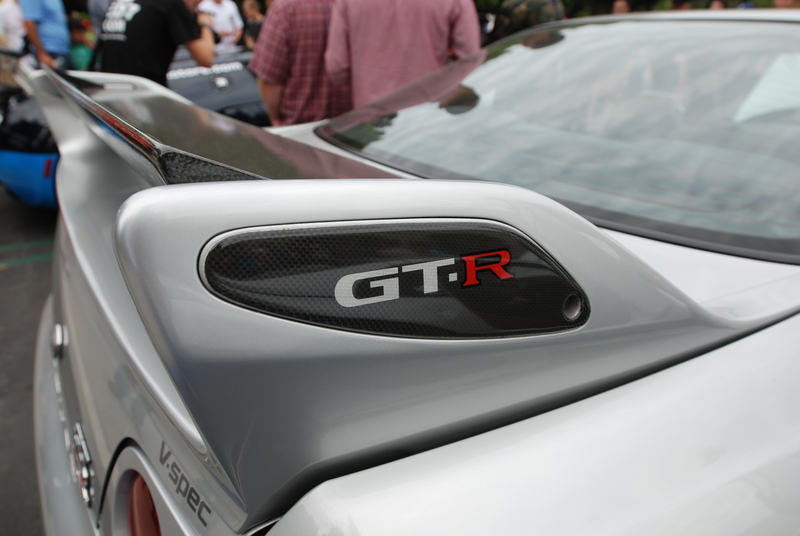 These figures translate to a 0-60 time of 3 seconds, with a top speed of 170 MPH. 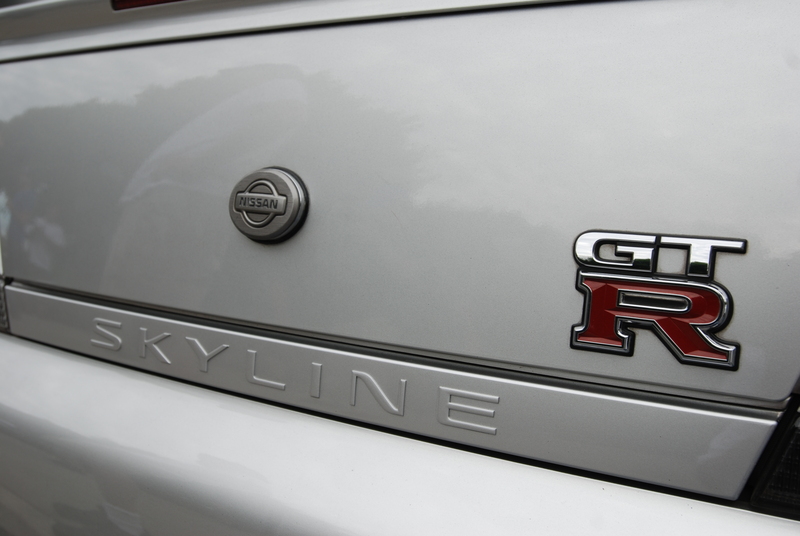 Parked perpendicular down the row from the Juke-R was an example of another example of a Nissan cult car; the Skyline GTR, as seen below in silver. 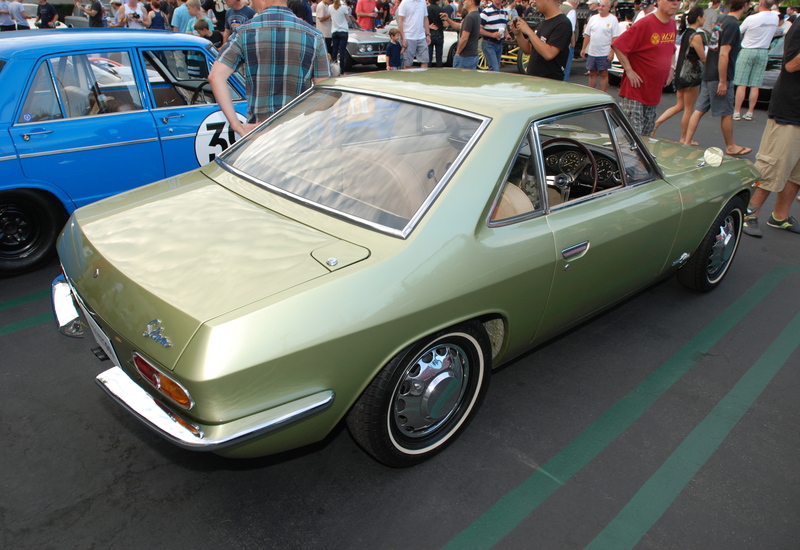 This Skyline model line would become a source of corporate DNA from which the designers at Nissan could draw from for use in the creation of their current day Nissan GTR super coupe. 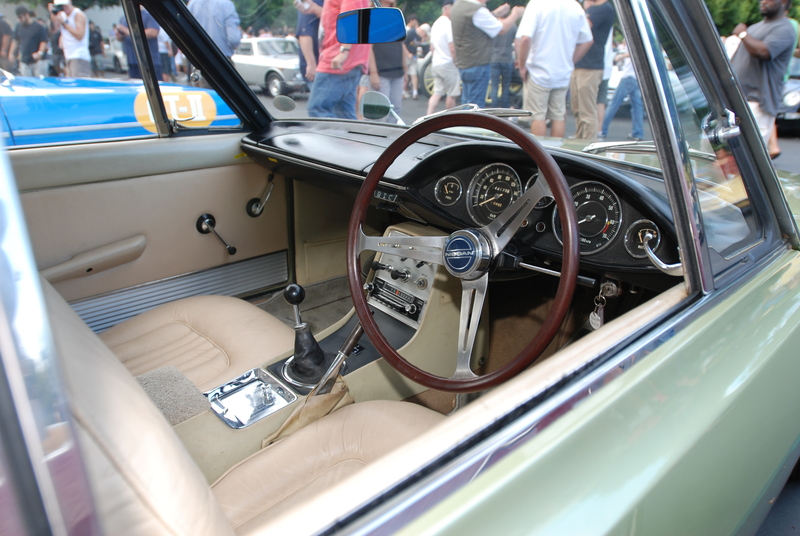 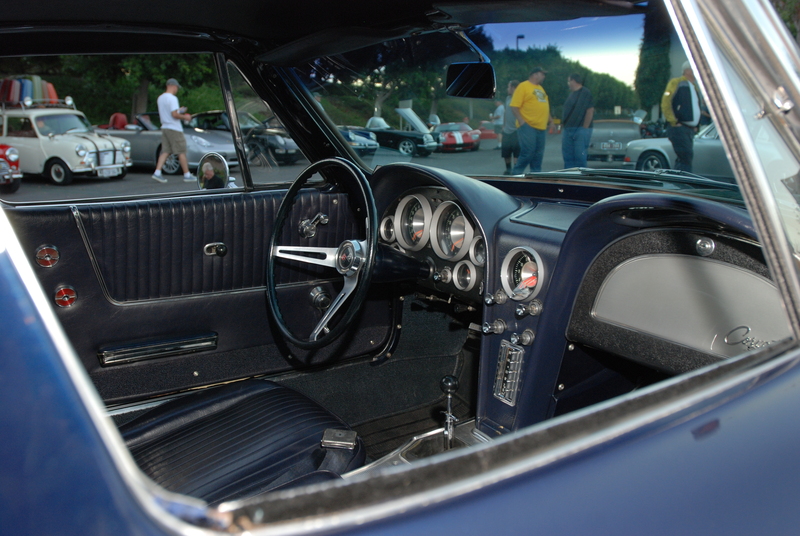 Another example of a right hand drive configured interior, and an interesting comparison in design evolution, when compared against the 1966 Datsun Silvia. 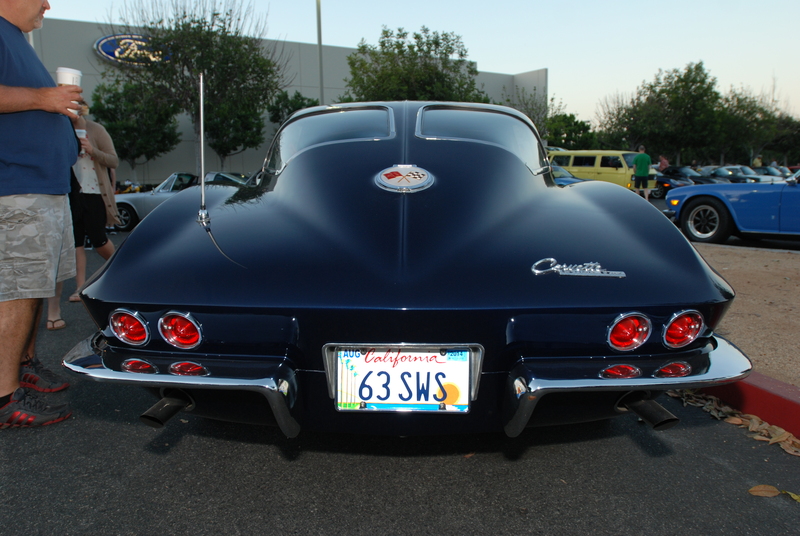 and its iconic, rear trunk lid badging. 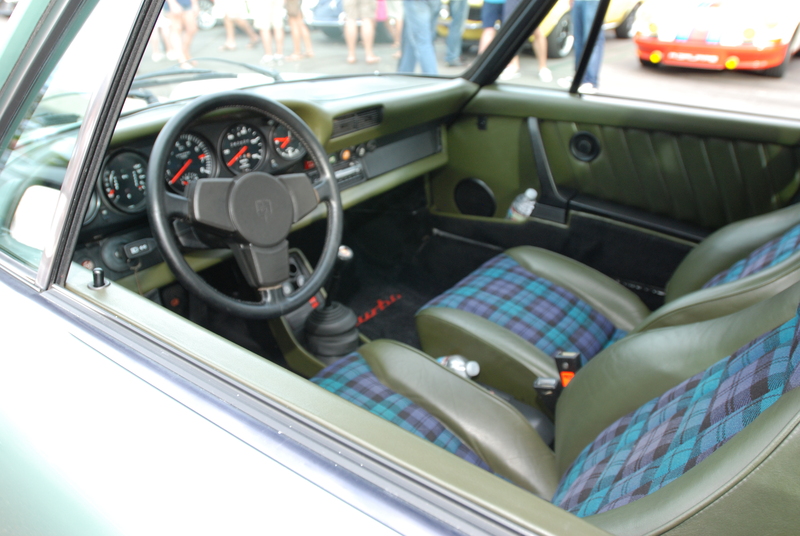 The view likely seen by its competitors. 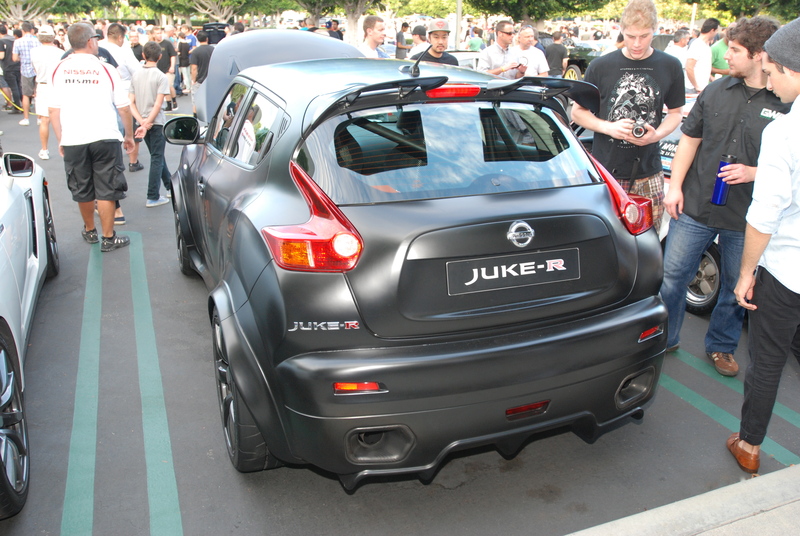 As I later came to find out, this car actually belonged to one of Nissan’s designers, up from their San Diego Design studio, and on hand for the mornings event. 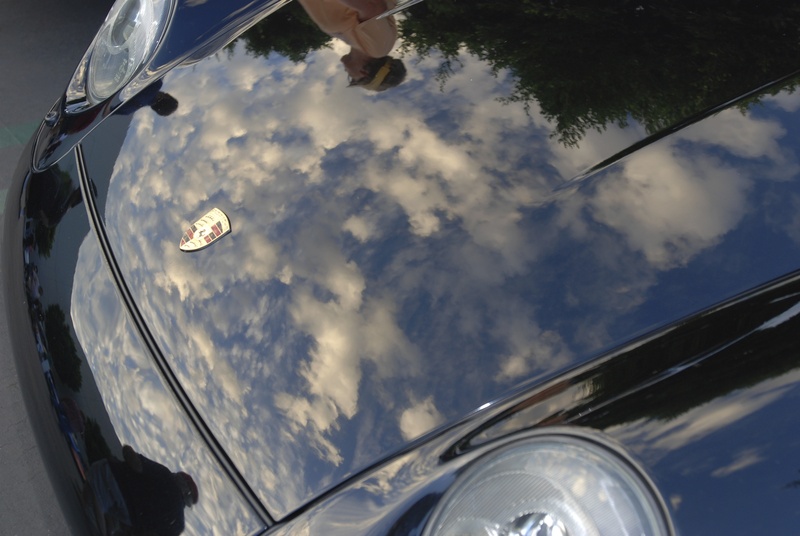 While getting ready to leave the featured lot, I noticed another Porsche parked over in a corner space, several rows behind the black Porsche 993. 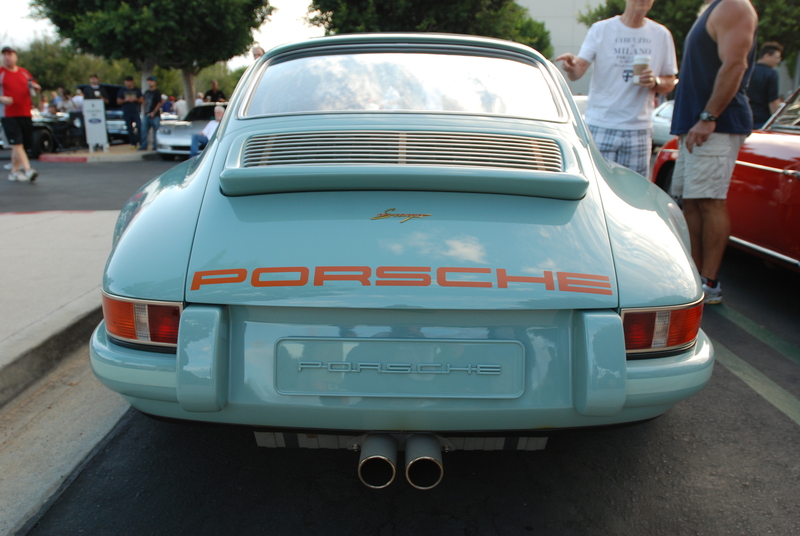 As I approached, I realized that this particular pale blue 911 was in fact the latest build from Singer Vehicle Design. 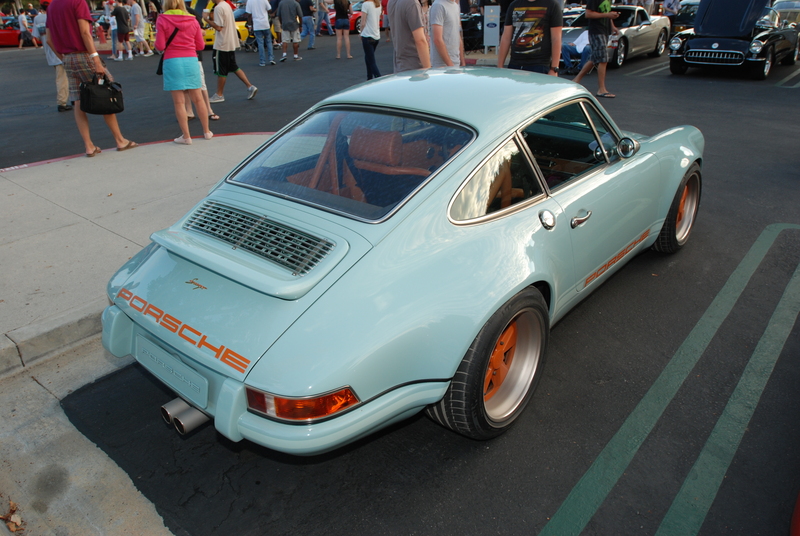 Finally, my first opportunity to view a Singer 911 in person, rather than online or in the pages of a magazine. 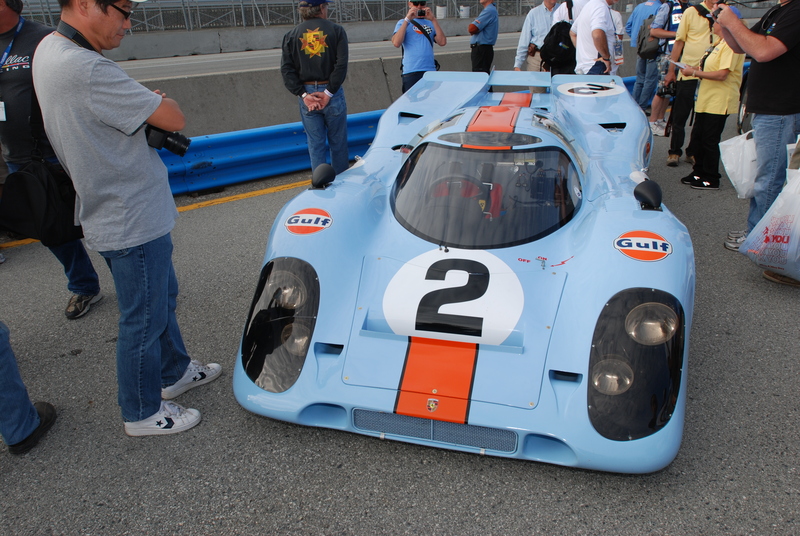 I learned that this particular pale blue, was based upon a reinterpretation by Singer Vehicle Design, of the 1970s Porsche 917, John Wyer Gulf blue. 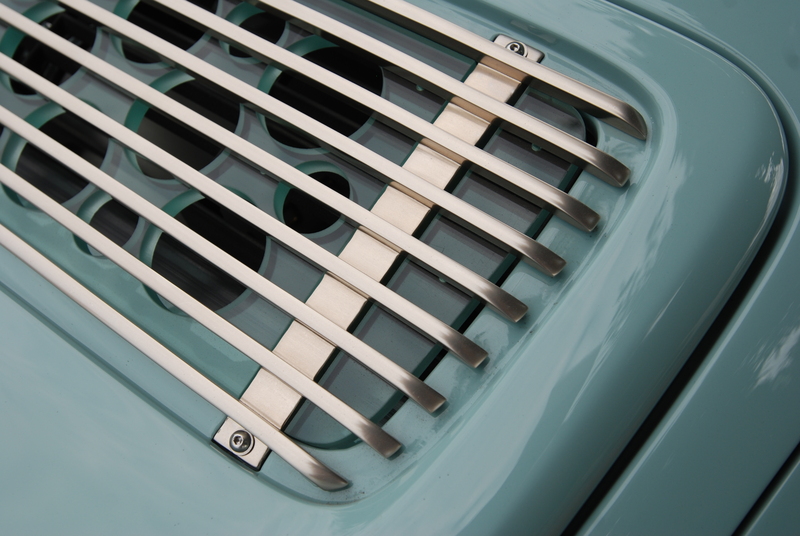 Rear deck lid grill in brushed nickel, with its Singer signature drilled glass backer. 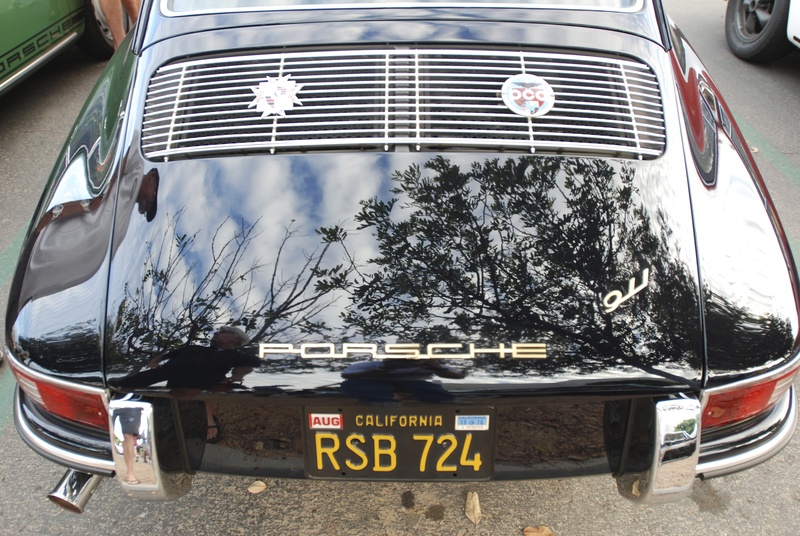 The 1967 Porsche 911R inspired, rear fender oil filler, but with a custom designed cap, complete with its etched and paint filled graphic. 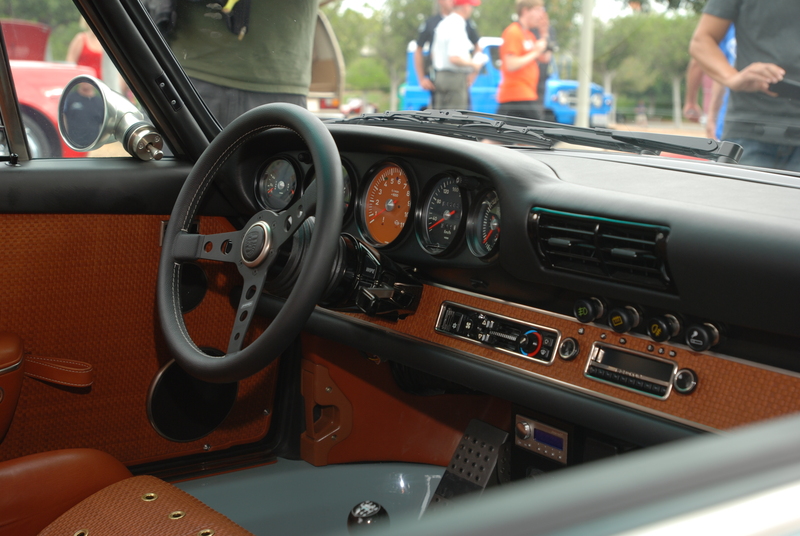 A peek inside the fully customized Singer 911 interior. 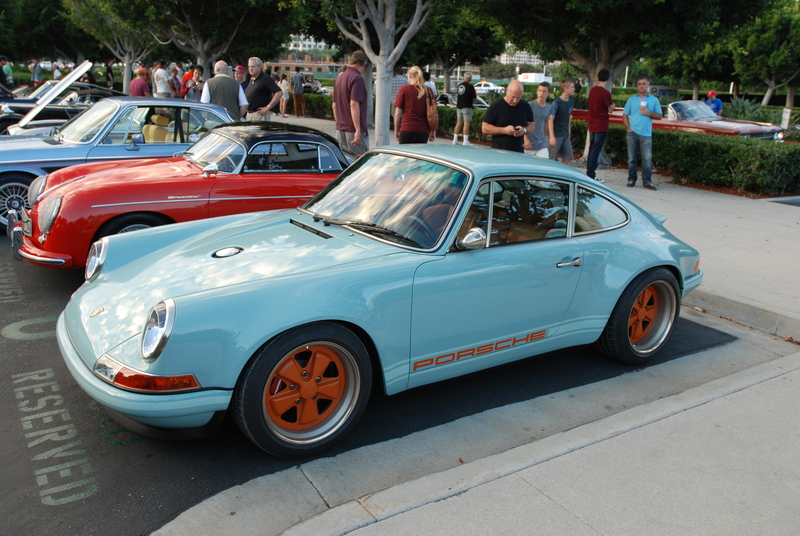 Having had the opportunity to finally view one of these cars in person, and study the collective package, the Singer 911 definitely lives up to its reputation. 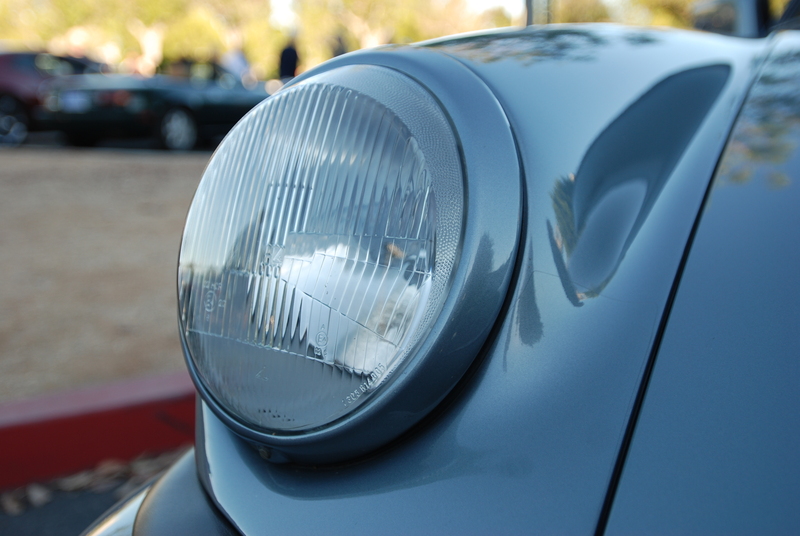 The attention to detail found throughout the car, along with the many unique design features incorporated were truly amazing, while still retaining the core attributes established and refined over the past 50 years of Porsche 911 evolution. 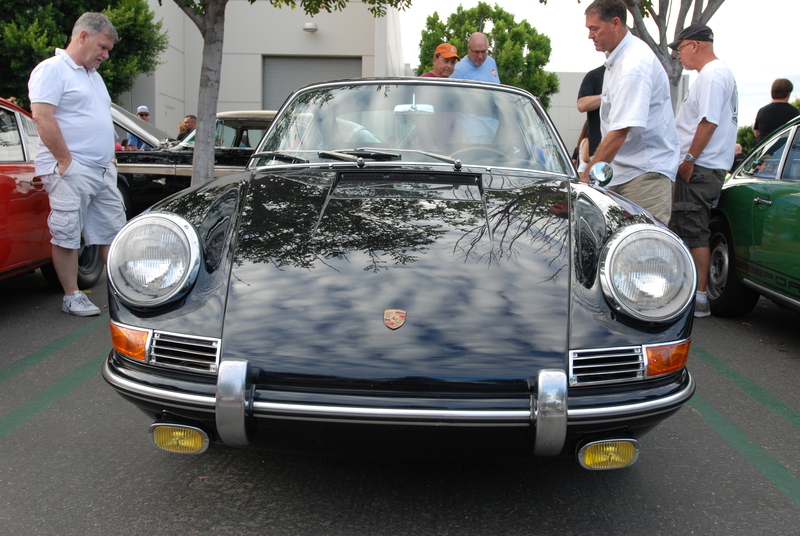 Leaving Porsche row, I decided to see what other cars had shown up on this incredible morning. 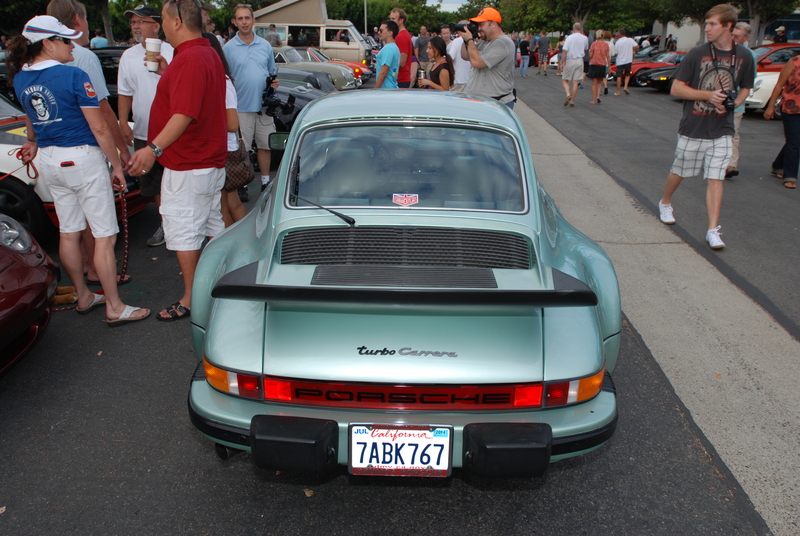 Three rows over, and parked out towards the end of the row was another spectacular Porsche; a lowered, Mint Green Porsche 964 C2, rolling on a set of blacked -out, modified BBS modular wheels, apparently the handiwork of the firm Rotiform. 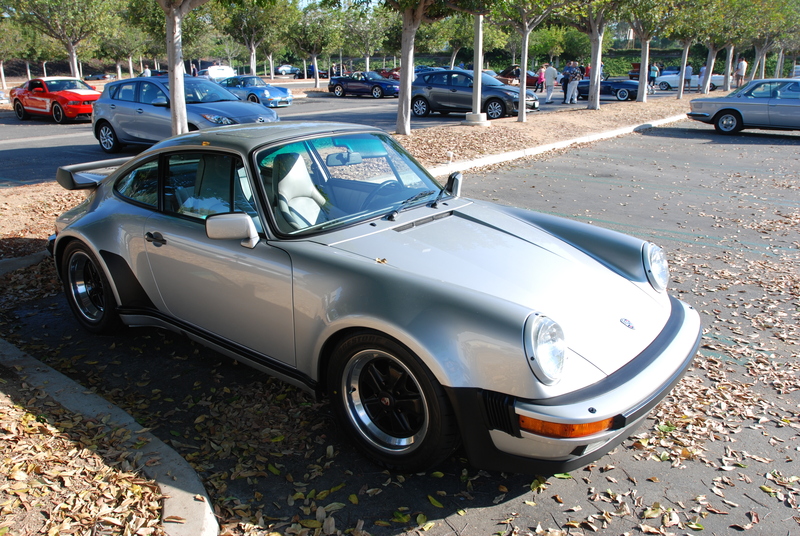 Parked just one row off and to the right, was another beautifully detailed and lowered, Porsche 964 Carrera 2 in Grand Prix White. 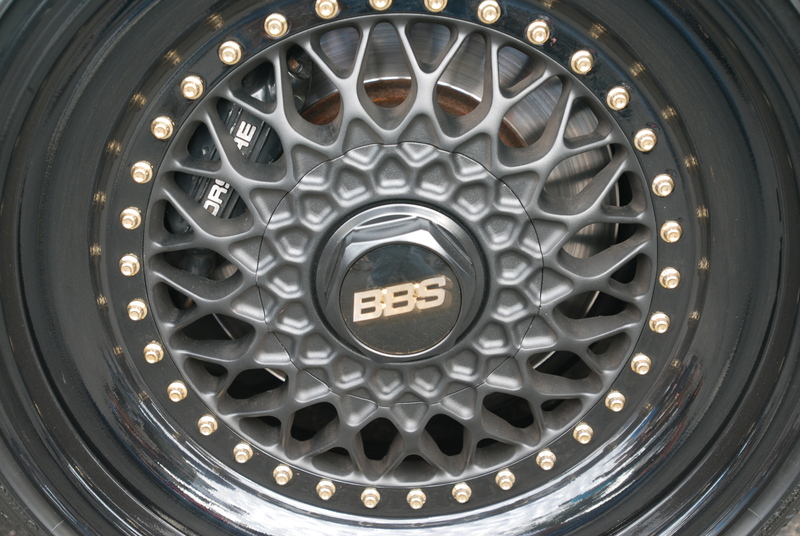 It also wore a set of modified BBS modular wheels. 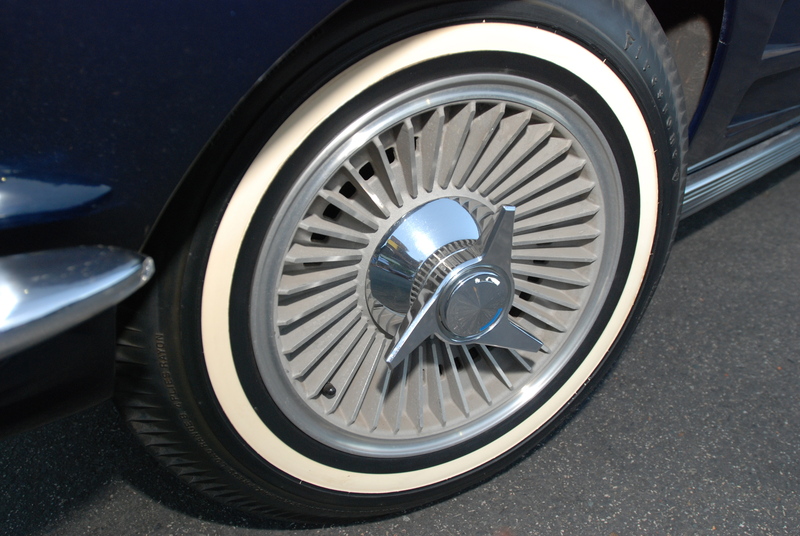 However, this owner opted for the stock gold centers, but added custom profiled inner and outer wheel halves. 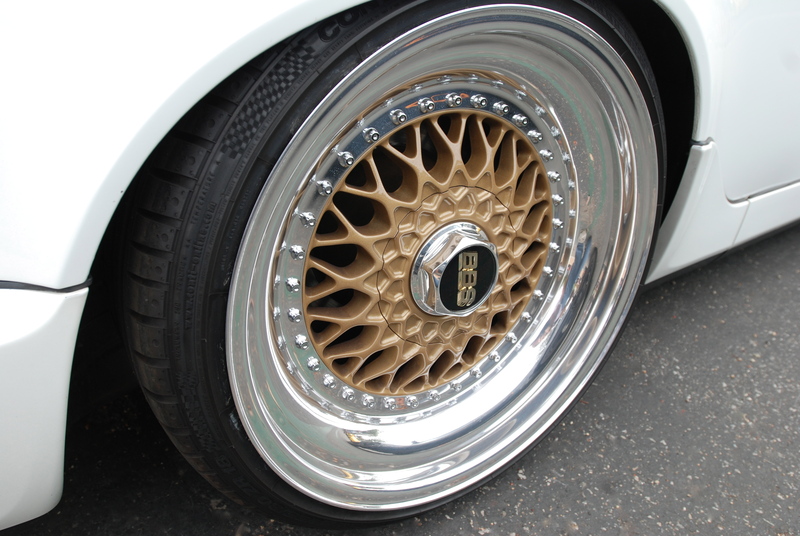 These too appeared to be the work of the firm Rotiform. 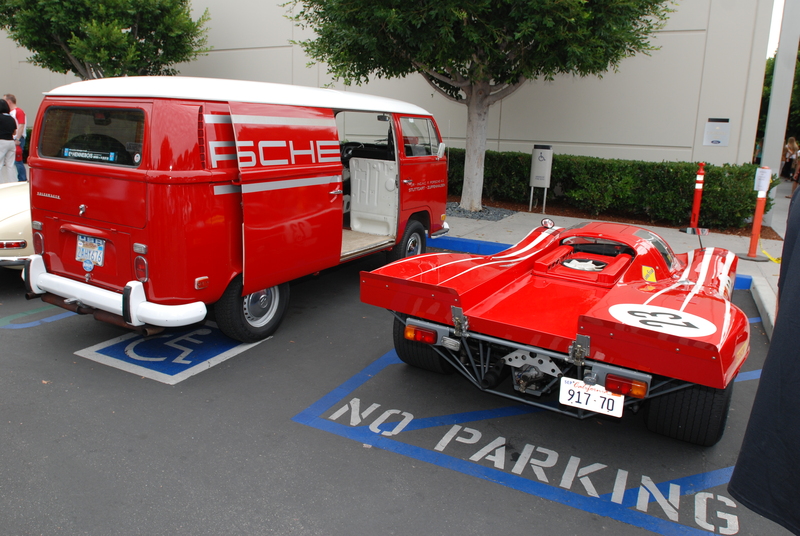 This photographic pairing had been something the owner of the VW bus had been trying to coordinate with the owner of the Red Porsche 917 recreation for months. 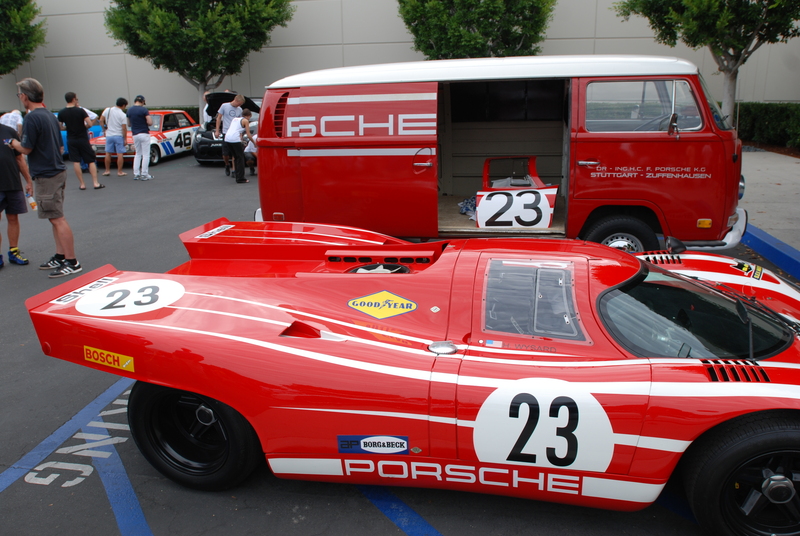 And with the opening of the VW’s side door, treasures were revealed. 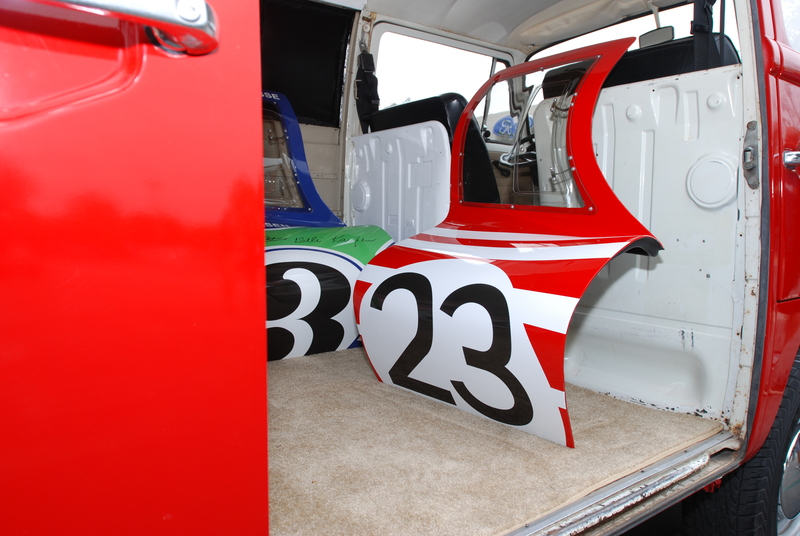 A quartet of iconic Porsche 917 doors. 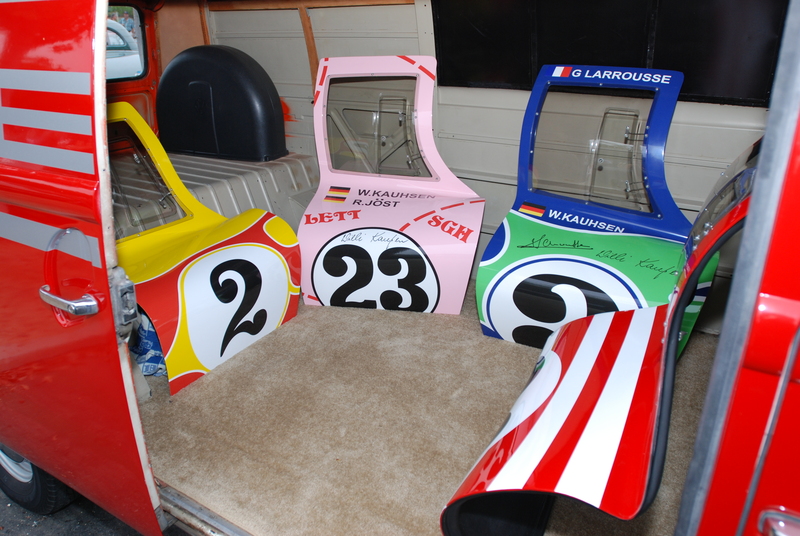 For information on these doors, please use the following link to access the race car fine art website (www.CDAutomobilia.com). 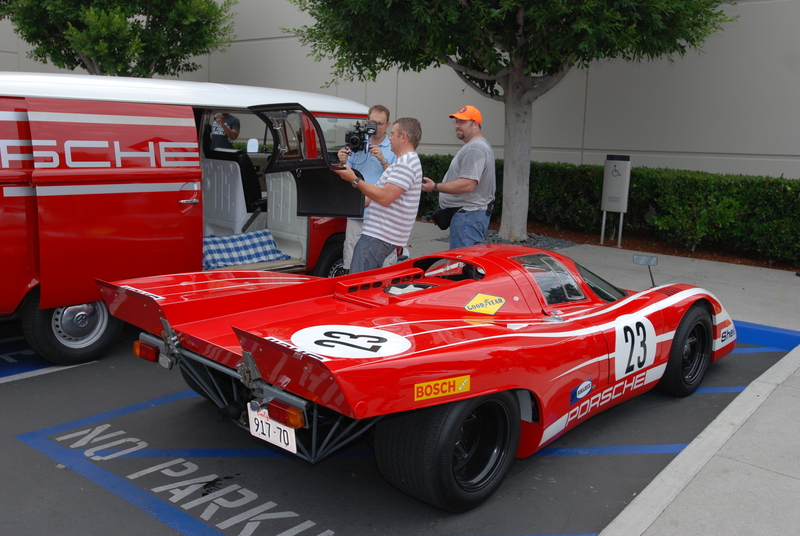 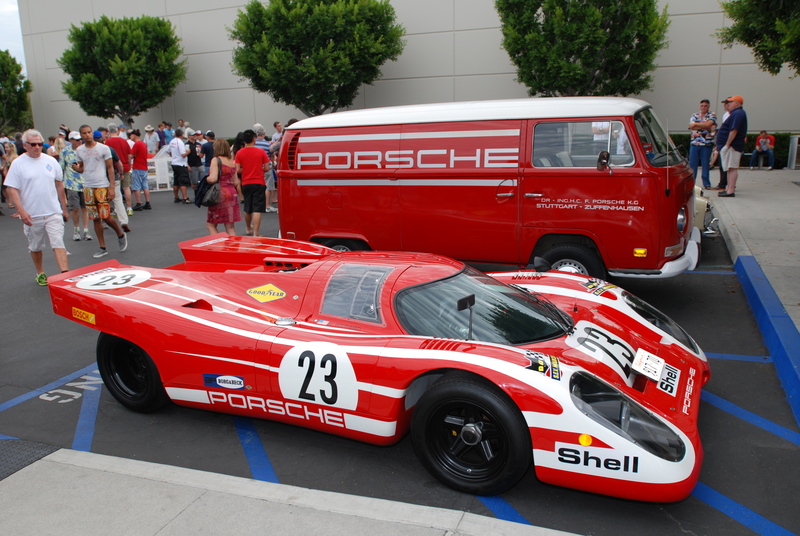 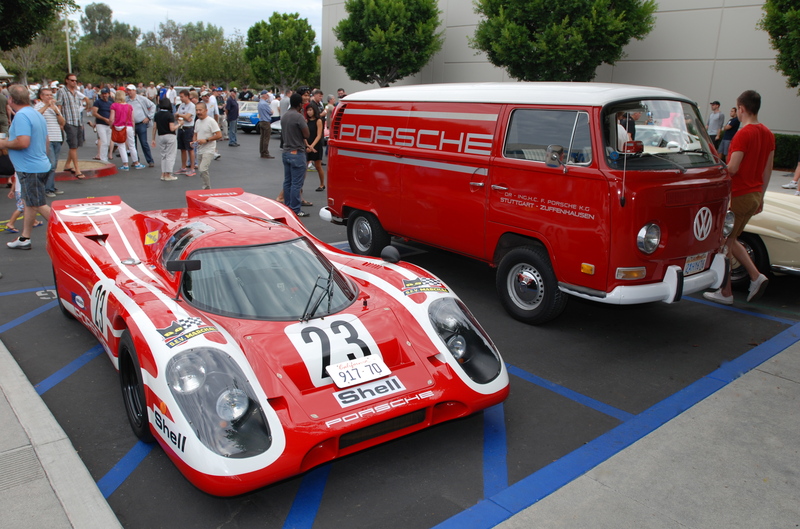 My friend Claude, displaying his van and the 917 #23 door to several videographers present that morning.